The Dighton Rock is a 40-ton boulder, originally located in the riverbed of the Taunton River at Berkley, Massachusetts (formerly part of the town of Dighton). The rock is noted for its petroglyphs ("primarily lines, geometric shapes, and schematic drawings of people, along with writing, both verified and not. "), carved designs of ancient and uncertain origin, and the controversy about their creators. In 1963, during construction of a coffer dam, state officials removed the rock from the river for preservation. It was installed in a museum in a nearby park, Dighton Rock State Park. In 1980 it was listed on the National Register of Historic Places (NRHP). The boulder has the form of a slanted, six-sided block, approximately 5 feet (1.5 m) high, 9.5 feet (2.9 m) wide, and 11 feet (3.4 m) long. It is gray-brown crystalline sandstone of medium to coarse texture. The surface with the inscriptions has a trapezoidal face and is inclined 70 degrees to the northwest. It was found facing the water of the bay. During the 19th century, many popular publications and public figures mentioned the rock. The satirist James Russell Lowell suggested that it should be mentioned by presidential candidates in letters to newspapers: "[I]f letters must be written, profitable use might be made of the Dighton rock hieroglyphic or the cuneiform script, every fresh decipherer of which is enabled to educe a different meaning." Lowell made other references to the rock in his widely circulated satirical writing, and may thus have helped to popularize it. In 1912 Edmund B. Delabarre wrote that markings on the Dighton Rock suggest that Miguel Corte-Real reached New England. Delabarre stated that the markings were abbreviated Latin, and the message, translated into English, read as follows: "I, Miguel Cortereal, 1511. In this place, by the will of God, I became a chief of the Indians." Ancient Phoenicians – proposed in 1783 by Ezra Stiles in his "Election Sermon." In November 1952, the Miguel Corte-Real Memorial Society of New York City acquired 49½ acres (200,000 m²) of land adjacent to the rock to create a park. 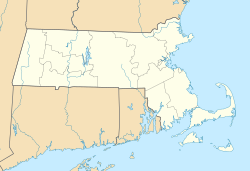 However, in 1951 the Massachusetts Legislature expropriated the same land for a State Park. More land was purchased. Dighton Rock State Park now has an area of 100 acres (400,000 m²). The vicinity of Dighton Rock has been beautified and furnished with parking and picnic facilities. One thing is certain, that former descriptions of the depth of the incisions cannot be used as evidence for any change. The first who describes them calls them "deeply engraved" in 1690; but Cotton Mather had never seen the rock, so far as we know, and this statement of his is doubtless on a par with his other statement that the characters are on "a mighty Rock." Greenwood gives the first reliable description, in 1730. He definitely says that the "indentures are not very considerable," and his drawing and his other statements prove that he had as much difficulty in making out the real characters as has ever been experienced since then. Even on the lowest part of the face, which alone does show evident signs of much wear, Mather's draughtsman, and Greenwood, and their next followers, were even less successful in making out apparent characters than have been some later observers. Sewall in 1768 and Kendall in 1807 made definite statements to the effect that the greater part of the lines were so much effaced as to make their decipherment impossible, or wholly subject to the fancy. ^ Edward Brecher (June 1958). "The Enigma Of Dighton Rock". American Heritage. Retrieved August 2, 2011. ^ Edmund B. Delabarre (1928). "Dighton Rock A Study of the Written Rocks of New England". Walter Neal. Retrieved October 26, 2014. ^ Jason Colavito (March 9, 2013), Review of America Unearthed S01E12 "America's Oldest Secret"
^ Martha Mitchell (1993). "Delabarre, Edmund B.". Encyclopedia Brunoniana. Brown University Library. ^ Delabarre, Edmund Burke (1919). Recent History Of Dighton Rock. John Wilson and Son. p. 409. Douglas Hunter, The Place of Stone: Dighton Rock and the Erasure of America's Indigenous Past. Chapel Hill, NC: University of North Carolina Press, 2017. This page was last edited on 28 January 2019, at 00:13 (UTC).